Comprehensive eye exams for adults and children, co-management of laser vision correction surgery, caring for eye emergencies and so much more. 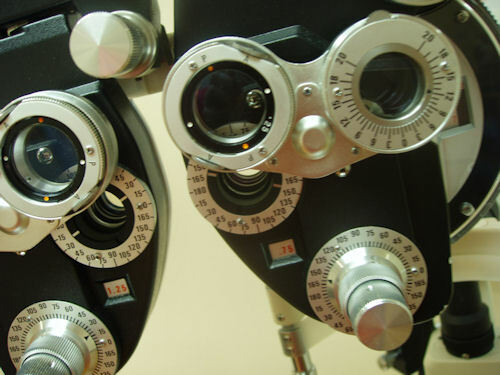 Dr. Lori Heyler provides comprehensive eye care to check the overall eye health and to identify conditions such as glaucoma, diabetic retinopathy, dry eye, macular degeneration and cataracts. Early identification of a child's vision problem is crucial. Dr. Heyler recommends that children have a comprehensive eye examination prior to starting kindergarten. During this examination she will check depth perception, focusing ability, ocular motility, near vision, far vision as well as evaluate overall eye health. Including Dry Eye, Macular Degeneration, and Cataracts. Dr. Lori Heyler can help you with red eyes, pink eye, or sore eyes as well as foreign body removal and eye emergencies. Sports eyewear can give you the performance edge you're seeking for just about any sport (tennis, racquetball, etc.) or recreational activity (hunting, fishing, etc.). It can also provide the safety and eye protection you need as well. Be sure to bring your helmet or other head-gear with you to your appointment so that we can help you select the proper eyewear. The OCT allows the eye doctor to evaluate the layers of the central retina to look for retinal diseases.